In order to preserve wilderness values the following rules have been established. No more than nine people may camp together in the BWCA-Quetico Wilderness. Larger groups must split up into sub-groups of nine or less and camp at two or more campsites. Food supplies may not contain any cans or glass bottles. Fresh and freeze dried foods packaged in plastic or foil pouches are allowed. The BWCA has designated campsites that include a fire grate and box latrine. For Quetico trips you need to carry your own fire grate and a small shovel. For campfires, use only dead and down wood that’s gathered away from the campsite. It is illegal to cut live vegetation for any reason. Drown your campfire with water whenever leaving camp. Have respect for fellow campers by keeping noise levels at a minimum. The lake water is pollution-free, however, there’s always that chance of coming in contact with Giardia parasite. Thus it’s recommended that you boil or filter your water before drinking. Dump soapy dishwater at least 150 feet from the shoreline. Every person must have a life vest (PFD). Although wearing one is not required by law, it must at least be accessible when traveling in the canoe or boat. The entire Quetico Park is non-motorized, as is virtually all of the BWCA as well. The only BWCA lakes in the Ely area that allow motors are Fall Lake, Newton, Snowbank, South Farm, the Moose Lake Chain, and parts of Basswood Lake. Rapids in our area are generally not safe to “run.” Portages have been made for a reason and we suggest using them at all times. We are a Cooperator with the USDA Forest Service under the Superior National Forest. We issue permits into the Boundary Waters Canoe Area Wilderness (BWCAW), part of the National Wilderness Preservation System. To preserve the wilderness, visitors to the BWCAW must follow certain regulations. 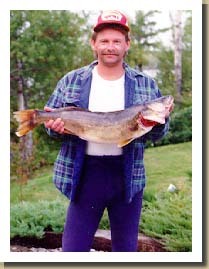 Click here for a complete list of USDA BWCAW Regulations. 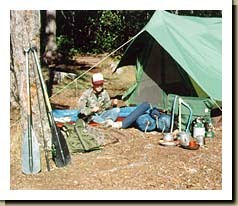 BWCA ENTRY PERMITS & CAMPING FEES – Entry permits are required for overnight camping in the BWCA. Each permit and campsite allows up to nine people. Larger party sizes would need additional permits and must camp at more than one campsite. Permits are very limited so early reservations are advised. The BWCA camping fee is $16 per adult per trip, while youth under age 18 pay $8 per trip. We’ll gladly reserve permits in your behalf but you also have the option of going online and reserving direct with the Permit Center (www.recreation.gov). Each permit requires a $6 non-refundable application fee plus a camping fee deposit. You have the option of paying all camping fees in advance or just the $32 minimum requirement (then pay the remainder upon arrival in Ely). When we reserve a permit in your behalf we add a $10 service fee. QUETICO ENTRY PERMITS & CAMPING FEES – Each Quetico Park entry permit and campsite allows up to 9 people. Quetico permits are very limited and the ideal time to arrange one is 5-months in advance of your trip dates. If the 5-month advance has already passed then it’s recommended that you provide us with an alternate date choice, just in case your primary starting date has already filled. A Quetico permit application costs $121 in advance. Of this, $100 is a camping fee deposit and the other $21 covers application and service fees. The balance of the camping fees are payable to the Ranger when crossing into the park. The camping fee at the Prairie Portage Ranger Station is $21.50 per adult per night in Canadian Funds). Youth age 6-17 pays $8.50 per night. The Ranger accepts Visa, Mastercard, or cash.